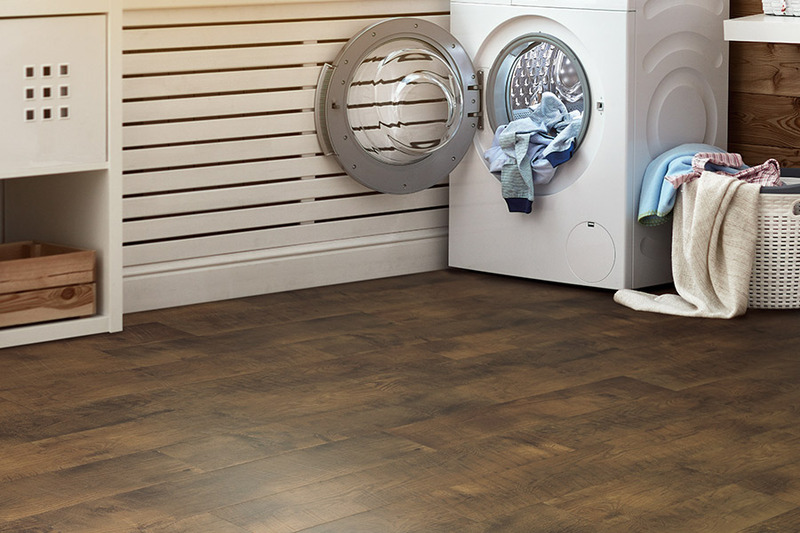 If you’re looking for something amazing in a floor covering, laminate could be what you’ve been searching for. It offers rugged good looks as one of the premier wood-look products on the market, and a functionality that meets the needs of nearly every homeowner. 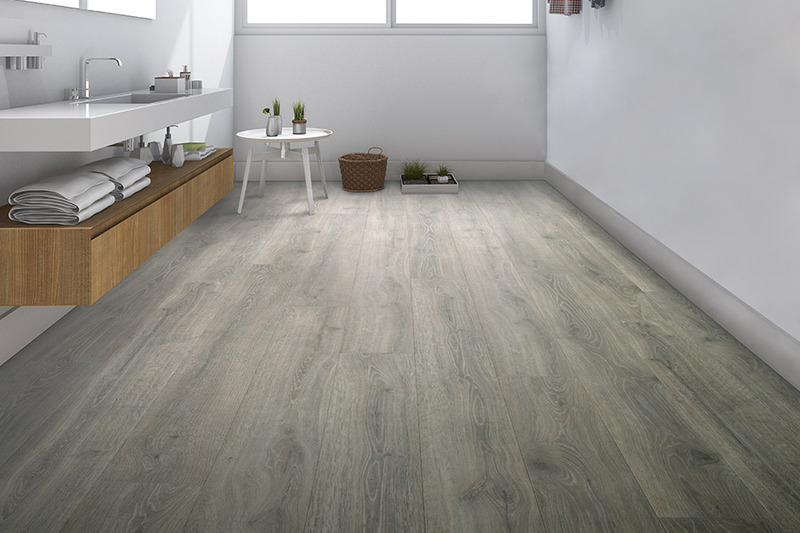 As the first ever wood-look flooring to hit the market, it has held its own for many years, and some homeowners have become loyal to the product. To find out more about how it may be of benefit to you and your home, just read along. Jamie’s Carpet Shop has more than 30 years in the flooring business and is proudly locally owned and operated. 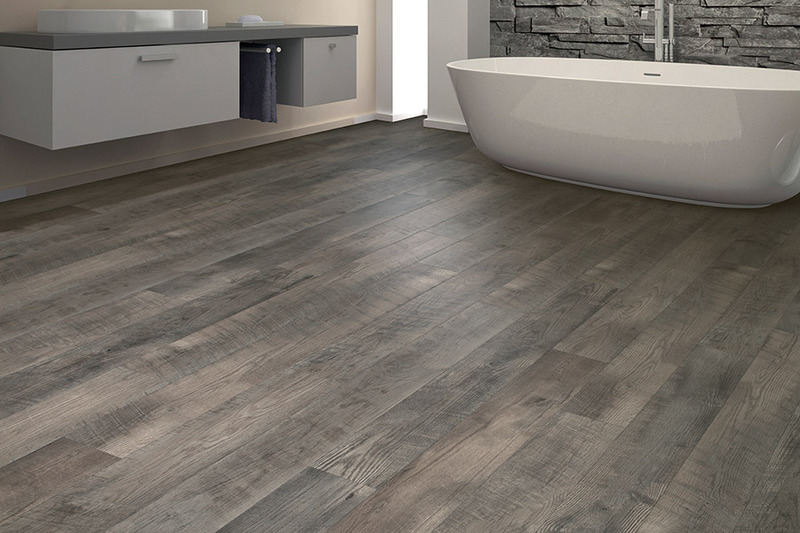 With the highest quality products and service that is dedicated to 100% customer satisfaction, we look forward to assisting you with your flooring needs. In fact, we invite you to visit us at our Amherst, Ohio showroom, from where we serve the areas of Amherst, Vermilion, Oberlin, Wellington, and Lorain. Our hope is that we will also be able to earn your business as well. Most homeowners are concerned first about the durability of the floor covering they are considering, especially if they have busy households. Laminate stands up to some of the most abusive situations including high traffic, pets, UV rays, and other types of everyday wear and tear. 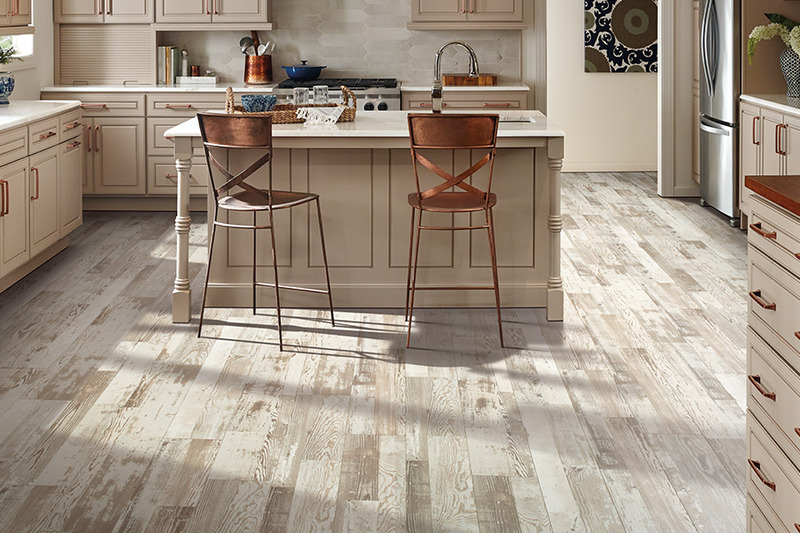 The thicker the material and protective wear layer that covers it, the more durable it will be, so be sure and speak with your flooring professional about which one is best for your needs. 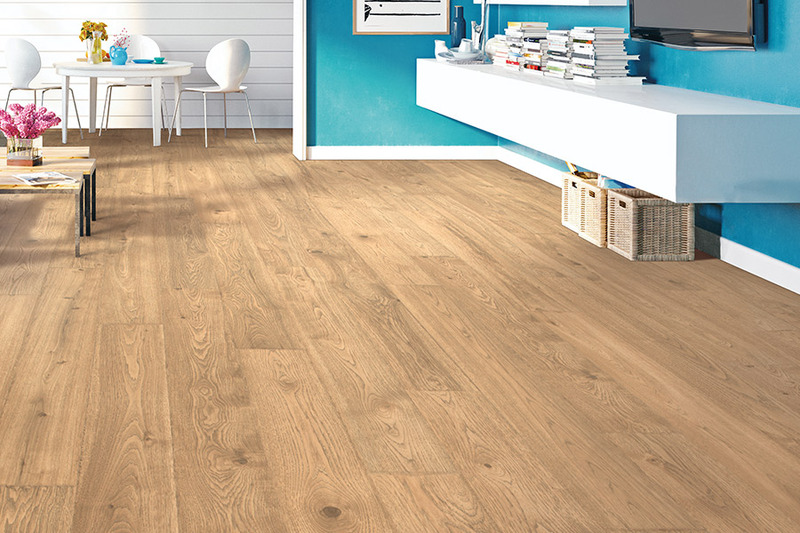 One of the most endearing factors about laminate is its amazing ability to mimic real wood flooring. You’ll be able to choose from various species looks, stain colors and grain patterns to achieve the look you want most for your home. This helps to match just about any existing decor and can stand up to changing trends as well. 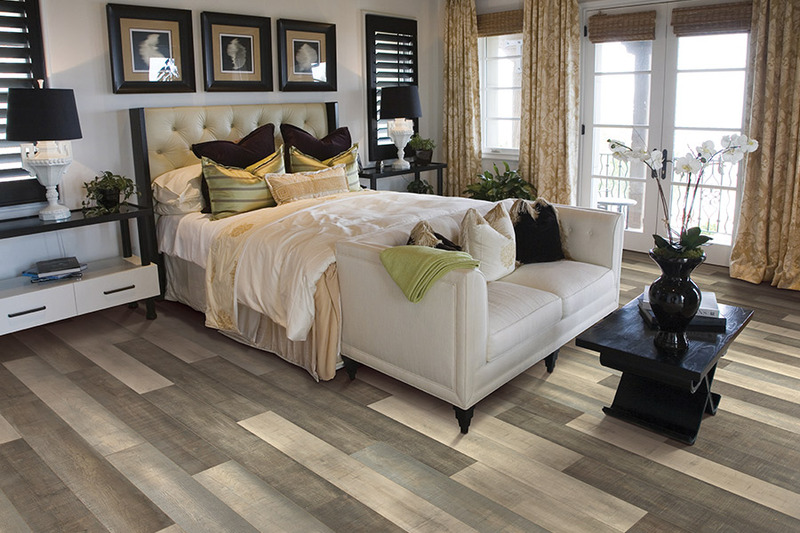 Installing laminate flooring is a quick and easy process that will have your installers in and out before you know it. 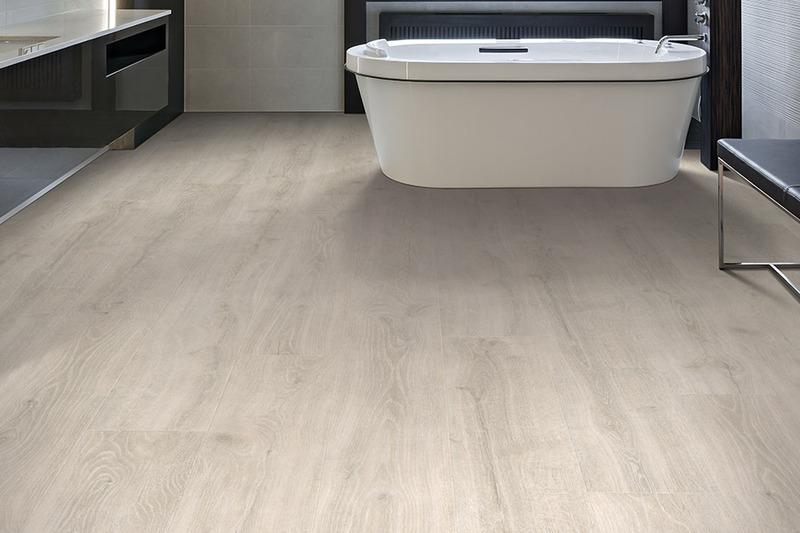 With the click and lock into place system, this floating floor can also work to even out areas of your flooring that may have been uneven in the past. It installs over a variety of subfloors with little prep work needed. It is just as easily maintained, with just a broom and mop needed for most situations. At Jamies Carpet Shop, we have a tremendous selection of Laminate flooring from the world’s leading manufacturers, and like all other types of flooring, Laminate flooring has come a very long way in the areas of moisture, stain, and traffic resistance. If you believe that laminate flooring might be the right choice for you, then only at Jamies Carpet Shop will you see the full spectrum of your options. Come in today and experience the Jamies Carpet Shop difference for yourself. Laminate flooring is very easy to clean and maintain. Simply wipe away dirt with a moist cloth. No wax is needed. Just sweep, dust or swift for general cleaning. Do not use the swifters that leave a waxy film, use the swifters that clean with static electricity. You may damp mop a laminate floor just don’t put a lot of water on the floor. You must squeeze out as much water as possible before you apply the mop to the floor. Too much water can cause buckling along the seams. Every floor is non-allergenic and does not absorb odors. Laminate cleaning products are easily available.